Use old glass bottles in your art beautifies the planet, your home, your work spaces and you! Includes 61 creative projects. Designs include a cheery bell chime. Serve drinks in unique recycled glassware. Make a chalkboard bottle to describe the menu as your guests marvel at stylish painted glass centerpieces and sumptuous tableware. Other projects include bottle wind chimes, candlelight sets, and dazzling glass jewellrey set. 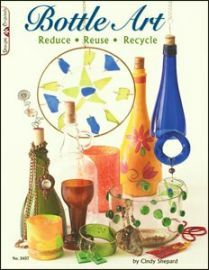 Order an Ephrem's Bottle Cutter Kit to complete your set and start recycling your glass bottles straight away in a creative and eco friendly craft! Feathers made on Jen Kelly’s class this week. Hard to tell if they are real or glass! 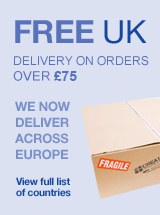 Keep informed with our latest news and offers.